Having struggled for first-team minutes since Maurizio Sarri's arrival at Chelsea, Victor Moses has left Stamford Bridge on loan. Fenerbahce have completed the 18-month loan signing of Victor Moses from Chelsea. Moses, 28, was a prominent figure for Chelsea under Antonio Conte but has hardly featured at all this season and has been allowed to leave in the January transfer window. The former Nigeria international joined in 2012 after impressing as a winger at Wigan Athletic, though he struggled to make an impact during his first few years at Stamford Bridge. Following loan spells at Liverpool, Stoke City and West Ham, Moses returned to Chelsea for the 2016-17 campaign seemingly looking destined for a permanent move away from the club. However, Conte switched him to a wing-back and he flourished in the new role, playing 34 times in the Premier League as Chelsea won the title in the 2016-17 season. He was similarly prominent the following campaign, but since Maurizio Sarri's arrival he has played just 26 minutes in the league during substitute appearances against Liverpool and Huddersfield Town. 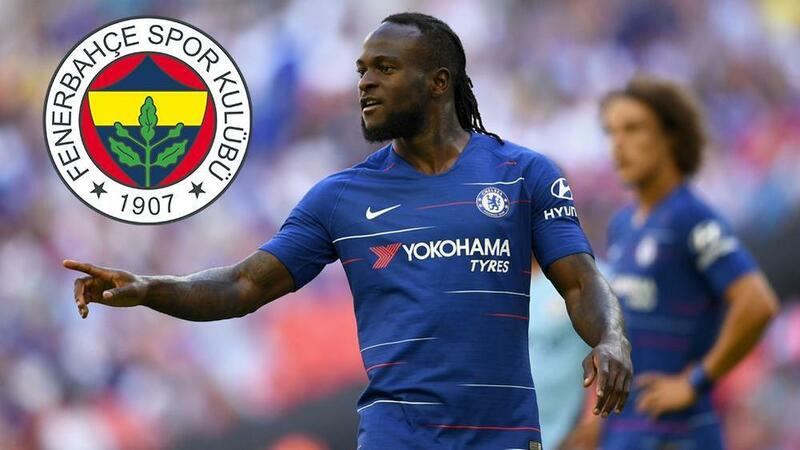 Moses joins Fenerbahce in something of a crisis, as they sit just above the drop zone on goal difference, having claimed only 17 points from 18 games. Chelsea have also allowed defender Matt Miazga to join Reading, the United States international spending the rest of the season on loan at the Championship club.